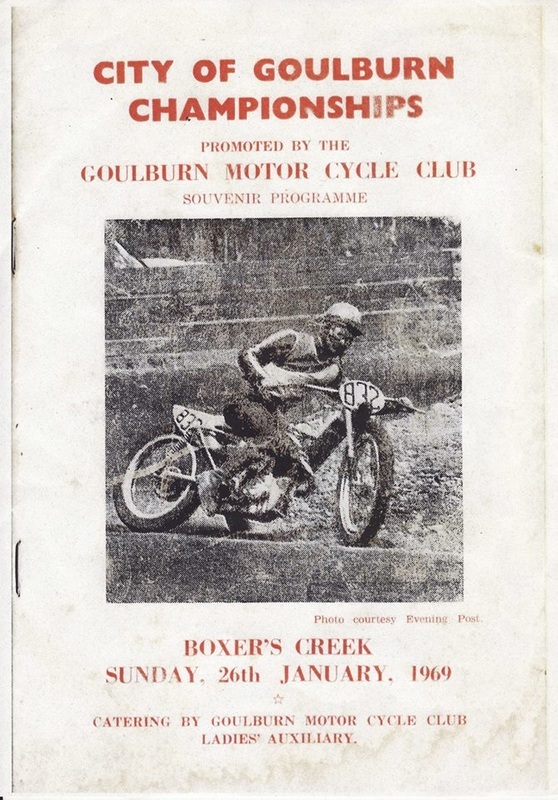 Boxers Creek Circuit is a large 996 yards in length, The venue's racing was controlled by the Goulburn Motor Cycle Club. 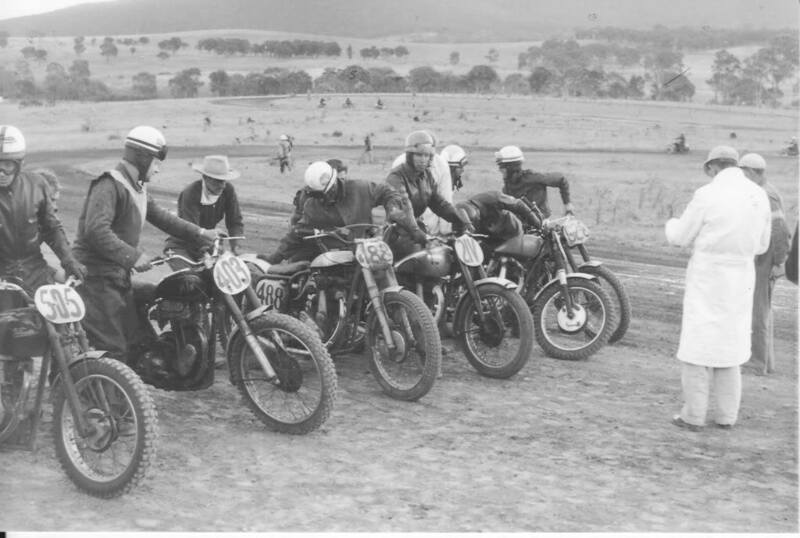 1969 Gridding up for the next event at Boxers Creek while a race is in progress. Photo: Alan Garvey collection. 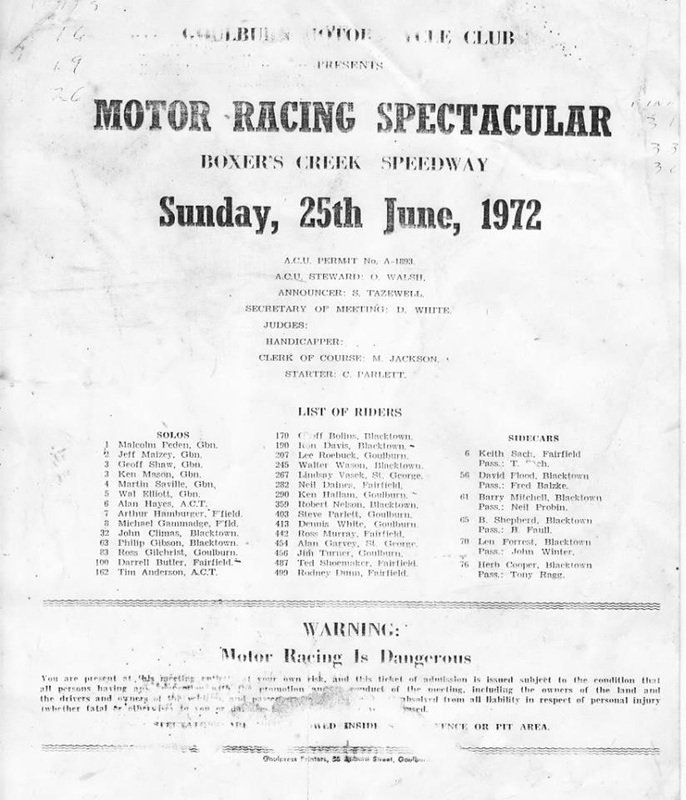 Alan Garvey recalls: The programme cover is from the last open meeting held at Boxers Creek, I won the A Grade fourstroke after a race battle with Neil Daines on a Gold Star Hagon.